Every week the Editors of the App Store select an app to discount to free for the whole week (not including in-app purchases). These apps typically represent the cream of the crop in the category they represent, and are a great bargain if you can manage to download them while on sale. This week is one of my favorite apps that took the gaming experience on iOS to the next level with its spectacular visuals and immersive gameplay experience. For a limited time, Infinity Blade II by Chair Entertainment Group, is now free to download. 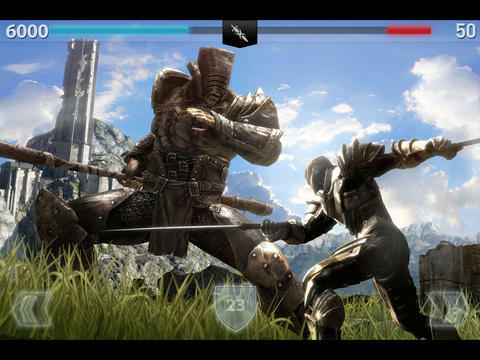 Designed for both the iPad and iPhone, the Infinity Blade series set the bar on how good the gaming experience on iOS could really be–a must for every serious gamer out there.